Employee time tracking and project time tracking are done in real time and the data is promptly transmitted to the server. The admin dashboard on the web app gives you access to all entries right away. 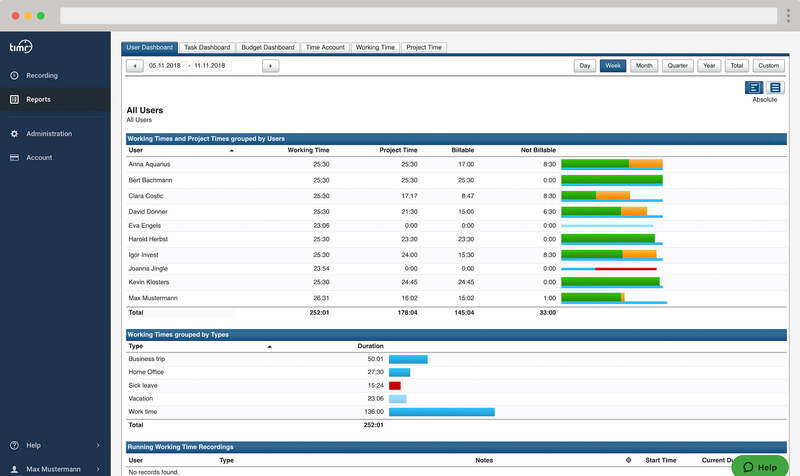 Timr gives you a complete and up-to-date overview of projects and budgets. 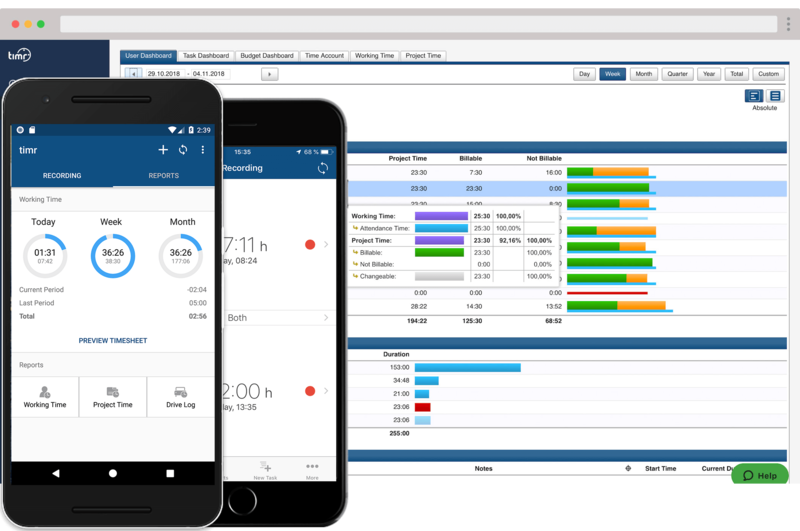 With this detailed information always at your fingertips, you have everything you need to invoice clients, make urgent project decisions and manage schedules on the fly. No more waiting for employees to submit their time sheets. 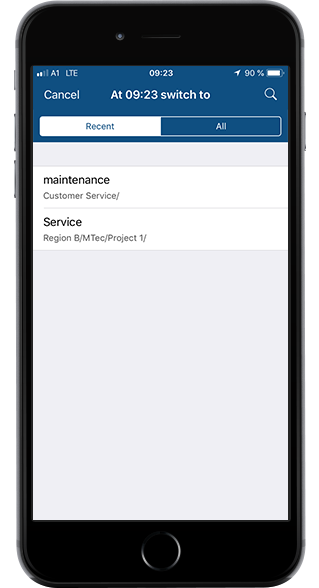 Our mobile time tracking app is available for Android, iPhone, Blackberry and Windows Phones and ready for use right after installation. The admin dashboard is available via the web app on your favourite browser. You don’t need a specialist or specific hardware to use timr. All you have to do is install the app on your smartphones and you’re good to go. No one wants to spend hours logging data for time sheets and projects. 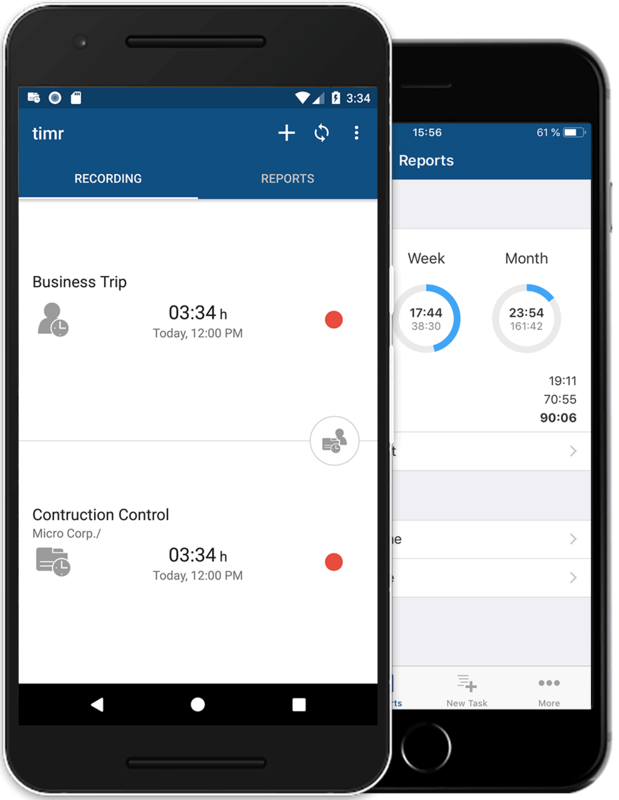 timr lets your employees track their work time and mileage conveniently in one app — which, in turn, saves everyone a bit of time. Our time tracking app works even when you’re not connected to the internet or your mobile network. Simply track your entries as always and the app will automatically sync your data to the server in the background once you’re connected again. 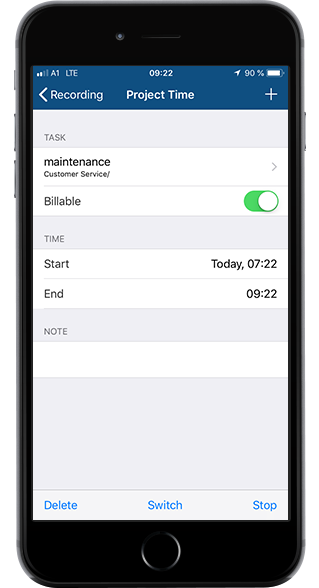 If you’re looking for an accurate time tracking app that you can use whenever and wherever, look no further. timr has everything you need. Just try it out!